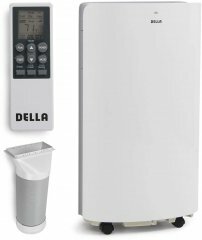 Even with a smaller review sample, based on this air conditioner's aggregate ranking of 90%, we are confident that the Honeywell HL09CESWK is, as of now, Alphachooser's best evaporative air cooler 2019. Furthermore, we think that our 19 reviews sampled from our sources give us a safe-enough confidence level (more on confidence levels) that pushes us to label it the most interesting choice as of now. 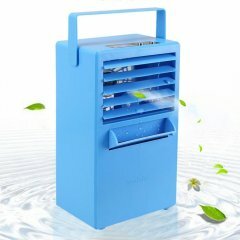 With its star rating of 4 computed from 796 reviews, here is second best evaporative air cooler. 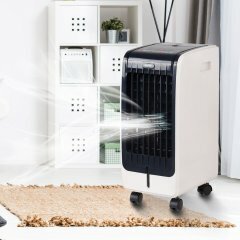 * This list is based on an in-depth analysis of hundreds of evaporative air cooler reviews from across the web. The Honeywell CS071AE Evaporative Cooling uses a honeycomb-shaped cooling media, which Honeywell says optimizes the cooling. 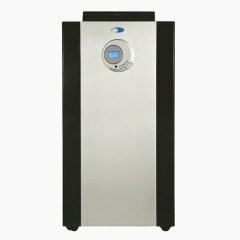 A narrower-than-average evaporative cooler complete with an air ionizer that potentially uses less energy than typical air conditioners.